It’s Friday. Time to Slow. Have you ever felt like you have been run down by a speeding train? The scriptures are full of examples and admonitions for us to slow and spend time with the Lord. Right from the beginning, God came in the cool of the day to speak with Adam. Even before that God Himself rested after 6 days of work and later, Jesus would often withdraw from the crowds to pray. And yet, we act as if we don’t really need this. We jump out of bed in the morning, throw on some clothes, down a cup of coffee, and run out the door. Never once thinking of even a quick hello to the Lord or an invitation to Him to walk beside us throughout the day. It’s no wonder, we feel worn and weary. And what about our Sundays? When I was growing up, we did only what had to be done on Sundays. Even when the hay was ready to bale, it stayed on the ground for a day. Sundays were for attending church and resting. The most we ever did was maybe a “Sunday afternoon drive” or visiting family. His answer pricked my heart. You see, what I wanted was to be able to go and play and have fun, not to actually take the day to slow down and worship God. It seems that when we “slow down” we are still filling our lives with stimulants which do not allow us the opportunity to rest and to fellowship with God. We come home and immediately, we turn on our radios, TV, and internet. No quiet for him to even get a word in edgewise. Take a look from a practical point of view. I know for myself when I was working, I would get where I seemed to not be making progress in my work. The best thing I could do was to go take a walk around the block. So we can see that breaks are helpful, so long as we aren’t using them to procrastinate. Now, who couldn’t use a few of those benefits! So, if we want to prosper, we MUST spend time meditating on the Word of God. Even in music, there are rests. What kind of sound would we get if only notes were played without regard to rests? I was a percussionist in the high school band. While the bells were my favorite, I also played the timpani. But many times there were long measures of rests between notes. This was no fun. Just counting beats. But these rests left time for tuning the instrument to the right note. And THEN, at the right moment, what an awesome timpani sound rolled out. We need these times of rest in our lives as well to tune ourselves to the drumbeat of God. God can only speak to us in the quiet. If we never slow down and listen, there is no chance for him to minister to us. Oh, how He loves us and wants us to come and fellowship with Him. He wants to tell us so much if we would but stop, look and listen! May I suggest reading this book? Thanks for this great reminder! 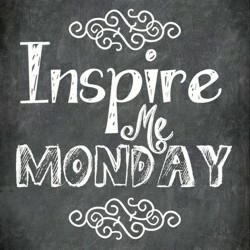 And glad you linked up with Literacy Musing Mondays! So glad it was an encouragement to you. It’s easy to get in a mode of doing too much and always saying yes. We must learn when to say no and set some priorities! What a great post Mandy. I have felt run down and that I need a break from some of the things i have been doing. This post feels like it was a note from God telling me that it is okay! Thanks! I love that quote by Ruskin. We often say that we are “waiting on God” but we don’t often think about God waiting on us! Thank you for these great thoughts! Blessings! What an important reminder for us all. I’m in the 6 spot thus week. Yes! I related to the music rests too! Thanks for coming by! I love this Mandy! Being a musician, too, I get it about the rests. And the times of waiting and resting in our lives are also part of the music of our lives.